Not many people have been posting to DS lately. So let me fill in with a new photo–this is the first of the Eurorack modules that Metasonix will introduce in 2009. 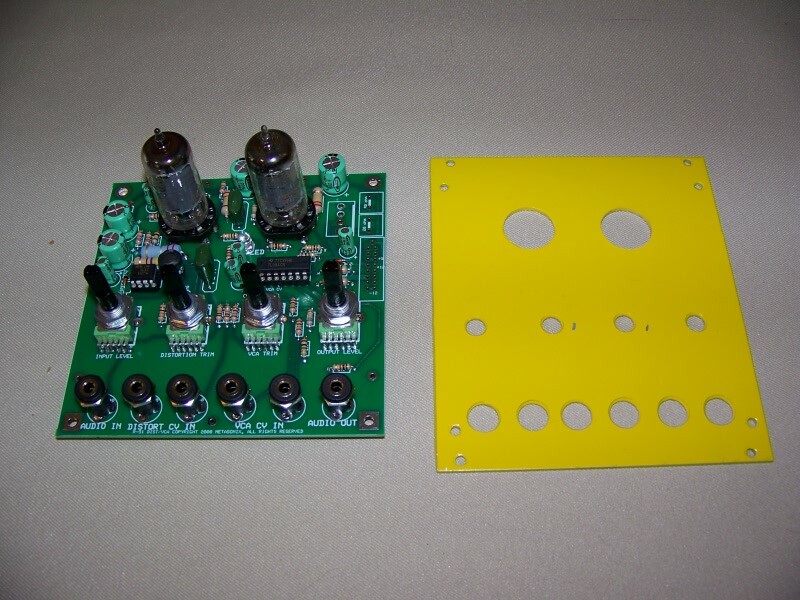 First one is a combined tube distortion/VCA, using variable-mu pentodes (26A6s to be specific). Shown here is the first prototype. I’ve built 2 more, and they all work exactly alike, so it’s a solid and reliable design. Hopefully it will be ready to show at NAMM.